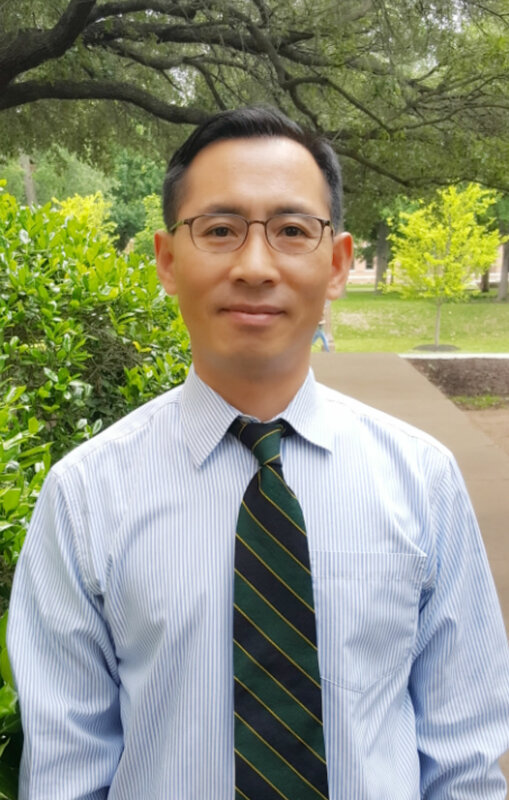 Dr. Jungjun Park teaches undergraduate and graduate courses in the areas of language development, anatomy and physiology, neurology, and multicultural issues in speech-language pathology. Dr. Park is a certified, licensed speech-language pathologist. Dr. Park joined our faculty in August 2008, after obtaining his doctoral degree at the University of Florida. Dr. Jungjun Park grew up in South Korea and came to the U.S. in 2001. Less commonly, Dr. Park was a doctoral candidate in linguistics when he changed his major into speech-language pathology after his mother got a stroke-induced language disorder. Since then, Dr. Park's life mission has been to use his academic expertise and experience to gain a better understanding of the underlying mechanisms of language processing and help people with communication disorders to live a better life. In his spare time, Dr. Park loves to enjoy the peacefulness and serenity of nearby rivers and creeks with his family. His favorite bible verse is the one about how God orchestrates the world and everything in the lives of His children in spite of our limits and weakness (Romans 8:28). Dr. Park's primary research and scholarly interests are in the area of language and literacy development and disorders in various populations. His current research interests lie in the areas of: (1) the effect of metalinguistic awareness knowledge on language/literacy acquisition; (2) bilingual lexical access; (3) the roles of bilingual verbal working memory; (4) the efficiency of lexico-semantic processing of children with or without language disorders; and (5) development of diagnostic tools for children with multicultural background. Dr. Park has a big passion for conducting research with his students. His research program is at the forefront of a paradigm shift in bilingual language processing studies, from an approach focusing on the surface level of psychometric and linguistic skills to studies measuring underlying core language-learning skills such as computerized lexical decision skills, latency of language processing (reaction time studies on phonological, morphological, sentence processing), executive function, and reading skills.